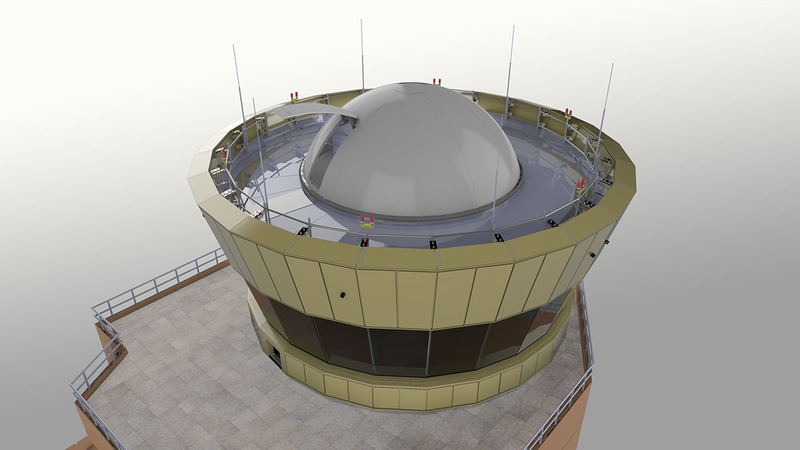 The new Visual Control Room (VCR) at Thumrait Airbase is a large, 24 sided structure, attired with a conical parapet encompassing a roof dome to emulate a jewel in the crown of the new Tower. The design, colours and material selection give recognition to both local culture and architecture. 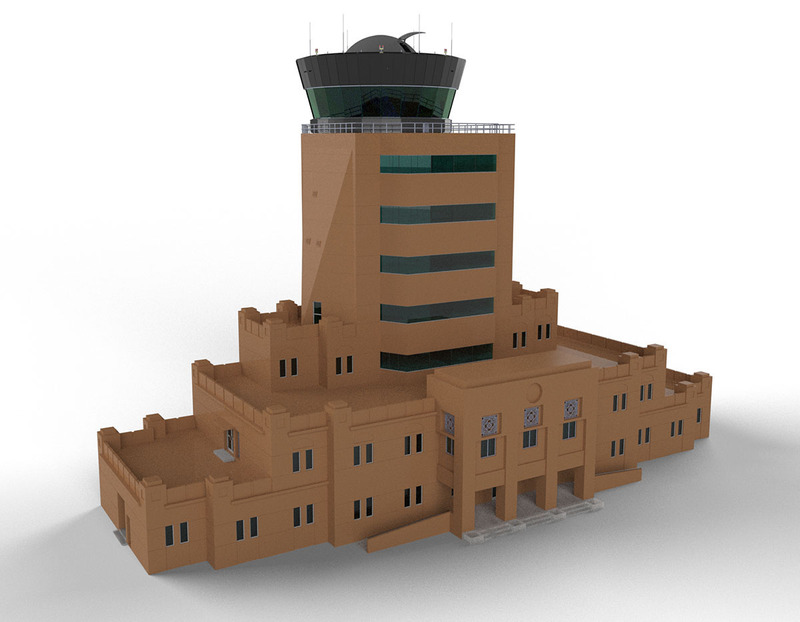 The VCR is a complete bespoke design created by Tex ATC to fulfill Royal Air Force of Oman and Ministry Of Defence Sultanate of Oman exact specification requirements. 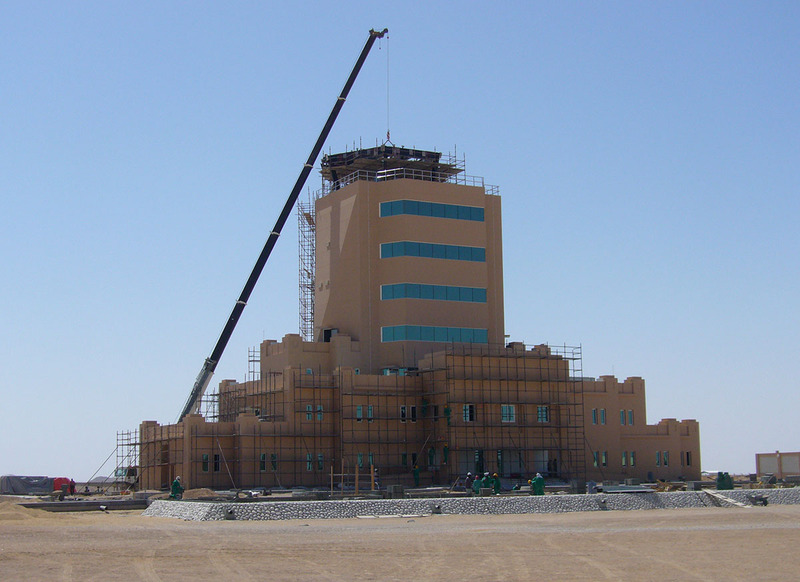 The high wind loading, seismic considerations and desert exposure posed additional design challenges to overcome in both project delivery and ongoing construction design management considerations. 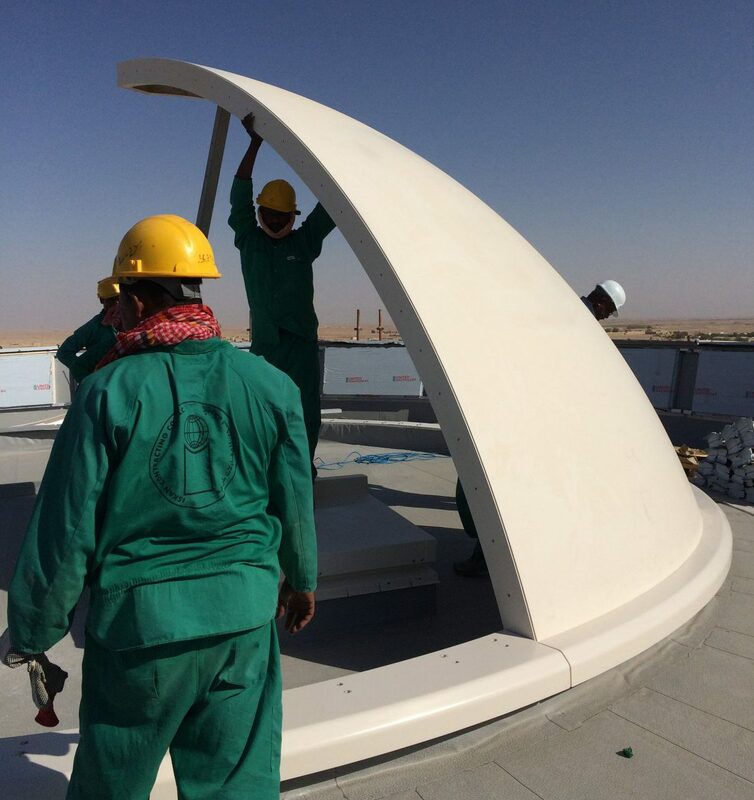 Careful selection of materials, finishes and surface treatment has achieved a robust and low maintenance VCR solution without compromising aesthetics or driving excessive project costs. 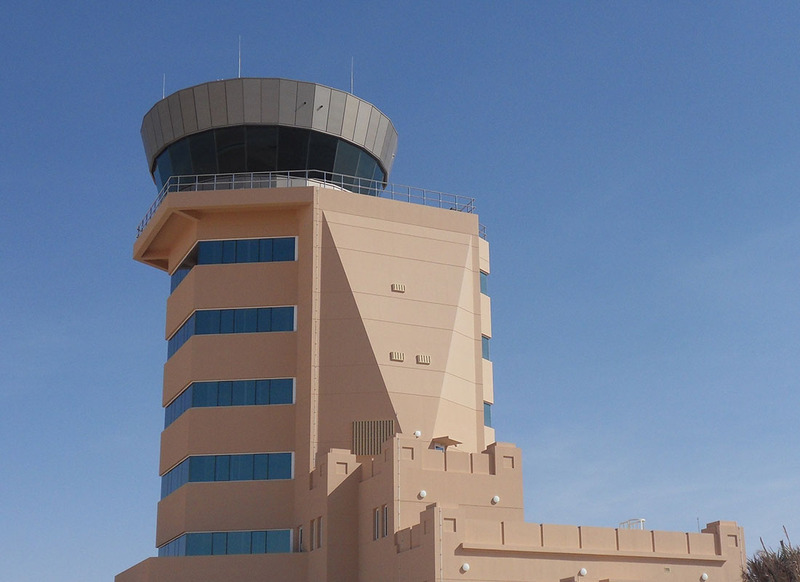 Being sited in a hot desert climate required integration with the building HVAC system and incorporating glazing properties to reduce solar gain, glare and thermal control of the glass using a bespoke Maxi View glass lamination.